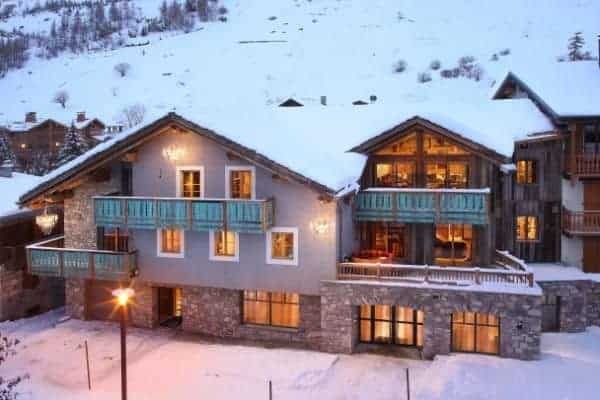 The Pissaillas Glacier grants Val d’Isere preeminence as a world-class, year-round high altitude ski resort and it is here that an exclusive luxury chalet offers superlative views of ‘La Face de Bellevarde’ piste, venue of the 1992 Winter Olympics men’s downhill skiing competition. 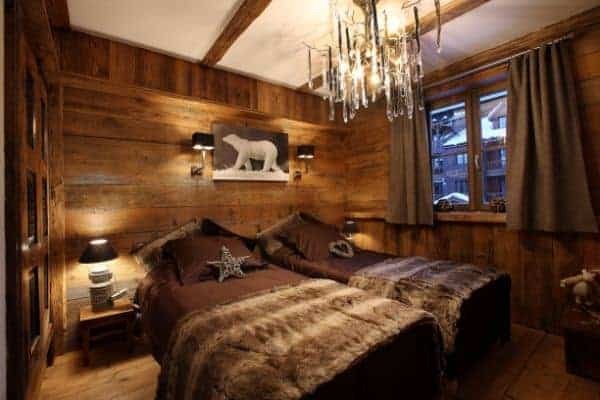 This chalet has most recently been expanded from 350 sq. m to 500 sq. 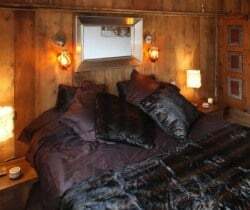 m and refurbished (Summer 2013) to provide the ultimate in comfort and facilities. 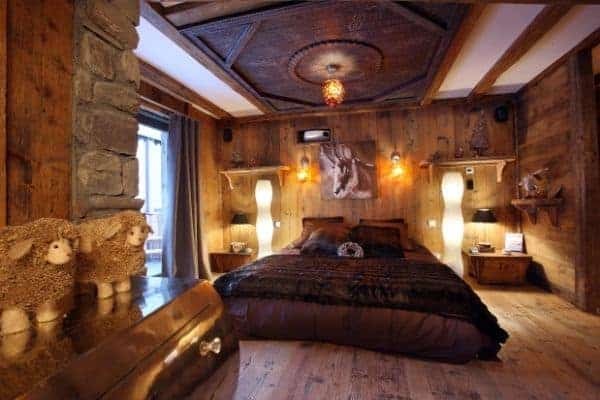 There is a rugged Alpine charm to this property and its décor is a harmony of esoteric Far East touches, reclaimed Mongolian wood and intricately crafted furniture. 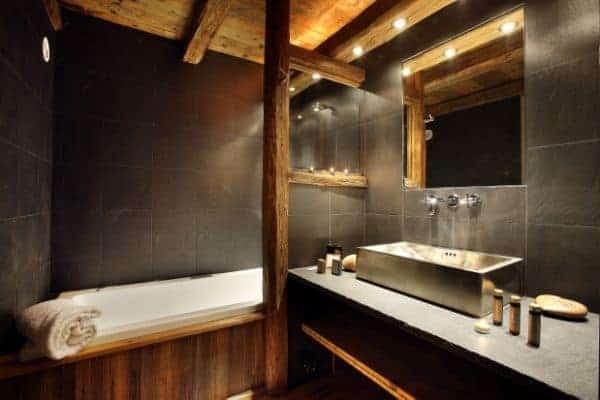 The capacious interior has high wood beam ceilings adorned with striking pendant lighting fixtures, while the wood floors and wood-panelled walls are infused with subtle punctuation of discrete lightings. 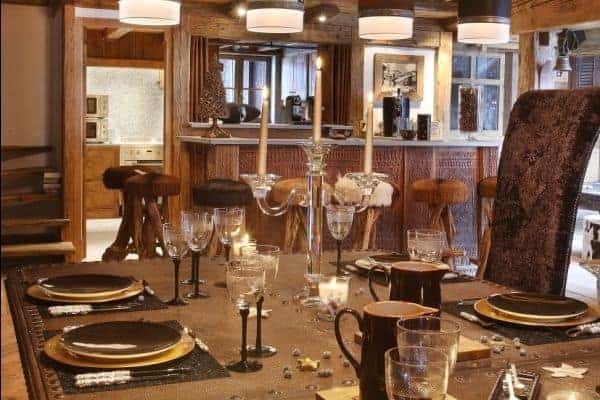 Furnishings include stunning hide-covered sofas, chairs and bar stools and the chalet brims with state-of-the-art technology. 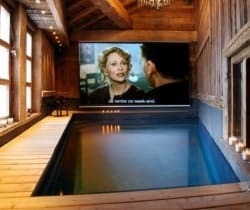 Connected to a multi-media entertainment system are plasma TVs in each bedroom, drop screens in the lounge and pool area, Wi-Fi and iPod docking stations. 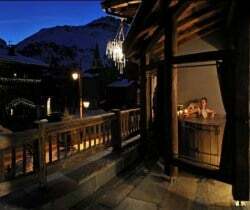 Adding to the chalet’s well-merited ‘wow’ factor is its admirable spa on the ground floor. 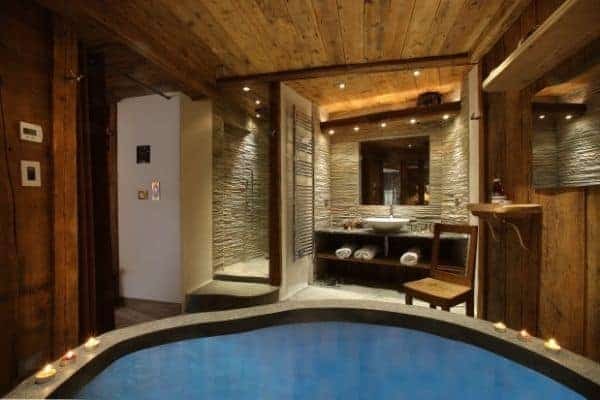 Its large indoor swimming pool, fitted with a button-touch drop projector screen, a massage room, sauna, hammam, gym and indoor Jacuzzi will make guests breathless in appreciation whilst indulging in this facility’s relaxing charms! 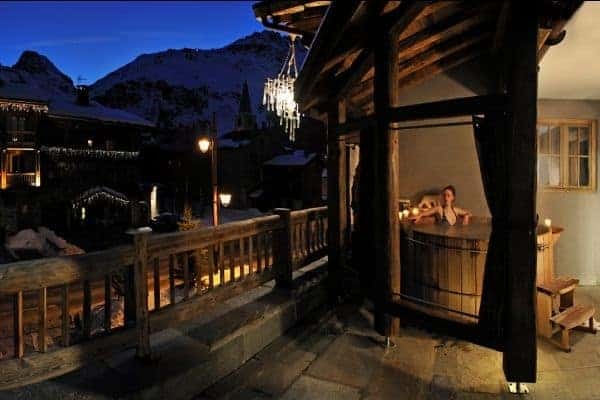 For those preferring a more invigorating experience to accompany their ‘down-time’ there is an outdoor Jacuzzi, which entices with the promise of stimulating fresh air and a panoramic vista of starry sky over snow-capped mountains. 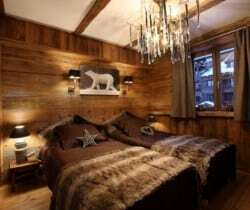 This chalet is distributed over 4 floors and sleeps up to 12 adults and 4 children in 6 bedrooms en suite. The bedrooms on the first floor access both balcony and the outdoor Jacuzzi. The front bedroom balcony has an adjoining bunk bedroom for children and the bedroom on the second floor is with a private balcony. 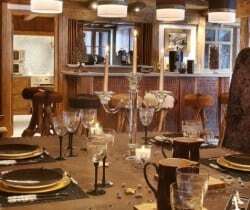 The fabulously large open-plan living space on the second floor features an expansive dining area, an intricately hand-carved bar and even a grand piano! 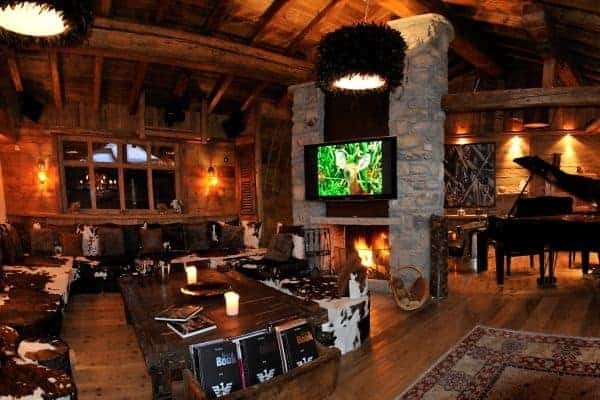 There is blissful warmth, no doubt helped along by the glow from the chalet’s distinctive central floor-to-ceiling stone fireplace. 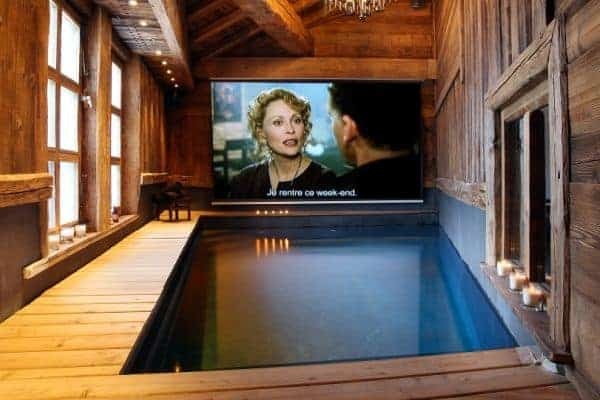 All together, this is an appealing and captivating space in which to relax and enjoy convivial après-ski gatherings of family and friends. 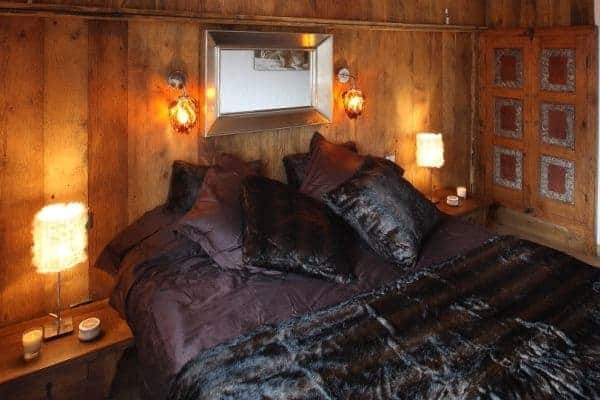 Above is a mezzanine with a snug TV area furnished with a voluminous, crescent-shaped and hide-covered sofa, as well as a spare bedroom with 2 single beds, no en suite and more practical for children. 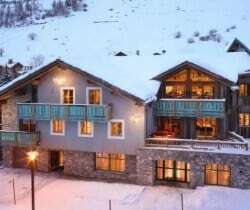 Simply put, this is unique luxury chalet just a few minutes from the fantastic slopes of Val d’Isere makes the ideal retreat for a family holiday. Not just any ordinary vacation, but one to be all the more memorable for an abundance of luxury and quality of indulgent service.